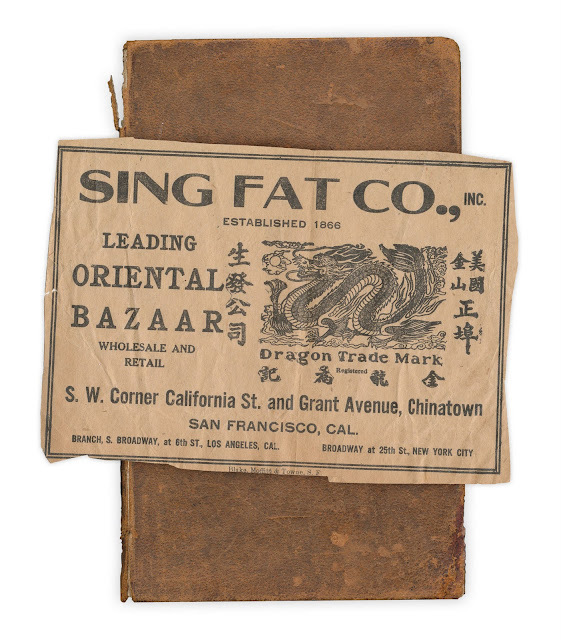 Advertisement for "Sing Fat Co., Leading Oriental Bazaar." The paper feels like thick newsprint or even a paper bag; there's no printing on the reverse side. Found in "Textbook of Chemistry For the Use of Schools and Colleges" by by John William Draper. Published by Harper and Brothers, 1851. Any idea of the date of that advertisement? No idea, Lady. If I had to guess, somewhere around the turn of the century.